Who needs a nanny when you have Mary Poppins? 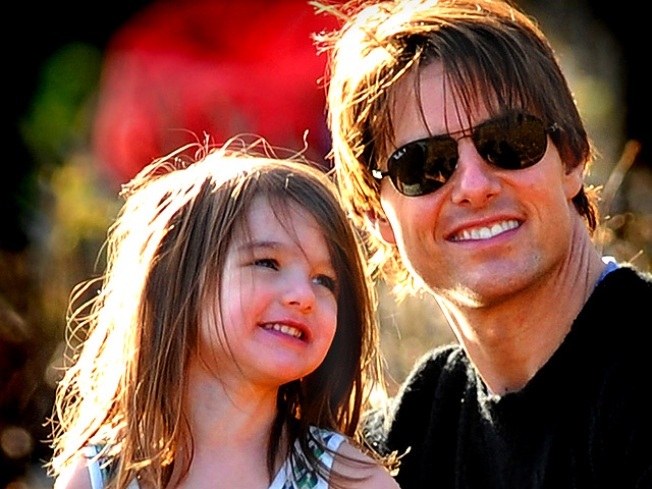 Tom Cruise and Katie Holmes took their 3-year-old daughter Suri to a production of "Mary Poppins" at the Ahmanson Theatre in Los Angeles on Wednesday. The family even posted backstage with the play's stars Ashley Brown (who plays Mary Poppins) and Gavin Lee (who plays Bert). The production must be a popular choice in the Cruise household, as it's the second time Suri has seen the play. Mom Katie brought her to see the Broadway production in August 2008. In fact, Tom and Katie are just the latest celebs to treat their little ones to the classic musical. Brad Pitt and Angelina Jolie brought their four oldest kids – Maddox, Pax, Zahara and Shiloh – to a performance on January 3; David Beckham and sons Brooklyn, Cruz and Romeo took in one of the LA performances; and Amy Adams, The Jonas Brothers, Jude Law and Cate Blanchett have been among the other famous names to catch the show during the holiday season.